Zugabe Encore in English. Neoangin is notorious for his encores. If the atmosphere says so 20 encores are not unusual. 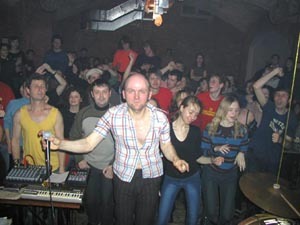 In 2003 Fribourg in Switzerland a show escalated into a 5 1/2 hour long show in the backstage room, all involved parties had to recover for 3 days. Only since Neoangin himself witnessed a 3 hour-long show by Badly Drawn Boy, which he deemed inappropriately lengthy, he adopted the opinion that short gigs have their advantages as well.